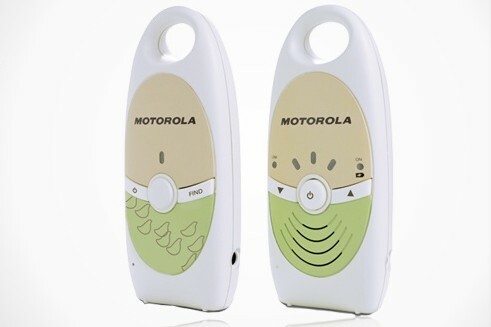 Motorola's new Google-Ga-Ga baby monitors? Google’s (s GOOG) planned buy of Motorola Mobility is about patents and the war of mutual destruction in the mobile space. We get that, but it’s also about connected TV and carriers and how the convergence of broadband and data will change our lives. And so I found myself thinking about how, if Google wants to use Android as a way into the home, Motorola’s (s mmi) home automation, set-top box and broadband gear businesses now gives Google a platform from which to jump. The mobile phone is poised to become our interface with the digital world, including the devices that control our lighting, in-home music and even home temperature. Don’t believe me, ask Qualcomm’s (s qcom) Paul Jacobs or the folks at Sonos or anyone building Android or iPhone (s aapl) remotes for cable. Even Sanjay Jha, the CEO of Motorola Mobility has absorbed a bit of this thinking in some of his comments over the last few years. So even as the world wonders if Google knows what it wants to do with Motorola’s home businesses, which include baby monitors, Bluetooth headsets and cable gear, it has the potential to make waves with consumers and especially with service providers. This puts Google back in the home automation market. Motorola Mobility clearly has been working on the home automation space for awhile. It purchased the startup 4Home last December. 4Home’s software enables home owners to access information — from digital media to energy info, home security and health data — across devices, and remotely and is used by Verizon (s vz) in home automation/energy management pilots in New Jersey. On the Google/Android side, Google has been looking to use Android as the layer to connect home devices, from connected light bulbs to other devices. So while, Google killed its separate home energy software PowerMeter earlier this year, it could end up back in the home automation game, this time with Android. And if Android is the dominant layer, Google didn’t really need PowerMeter, which was aimed at utilities. Android and Motorola’s 4Home software is aimed at carriers, a relationship Google is more familiar with, especially on the wireless side. Wait, we’re buying our gear from Google? In any case, the deal has shifted dynamics in the industry quite significantly: “Comcast overnight has become a huge customer of Google, and Comcast has no way out of that in the short run,” the executive said. This sort of convergence may have been unintentional, but it’s also something that should be expected as broadband, not only brings people closer together, but also forces our networks and devices to merge. So soon Google will have not only have close relations with wireless carriers because of Android, but also wireline ISPs that have traditionally been cooler to the search giant. Will it help wireline carriers keeps consumers in a pay TV world, or help ISPs deliver differentiated home automation services so they can forestall the process of becoming dumb pipes? Or might Google look at the unexpected businesses it picked up with its patents and dump them like I dump that insanely pink lipstick color I get whenever I get my “free gift with purchase” at the makeup counter? I agree; there’s much more than patents at stake here. The deal shifts the balance of power away from the wireless providers – the opposite of what the proposed at&T/t-mobile deal would do.Googlerola could offer its own open handset at a low price subsidized by future ad or content revenue. Owners might then buy cheaper prepaid data plans from the carriers or the carriers might have to offer the open device if it sufficiently compelling. The barrier to switching carriers would be lowered; competition might push the wireless carriers back from the data caps and metered pricing they are moving to. Metered pricing for data hurts Google both as a content provider and a provider of client software and now hardware. Set-to boxes are distributed in the same subsidized way as cellphone only more so with consequent customer lockin. Can Google break this paradigm and help avoid metered pricing by landline ISPs? Would be good for Google’s content business if they can. Hardware just made a leap where small cheap devices can have great displays, touch interfaces, copious processing and storage and most importantly good net connectivity. A ton of value can now be imagined around goods and sevices into a web corraling all these things. This has touched off a mad dash to create and gain control of this web that is yet to be established. This explains the fighting over what OS, cloud architecture, data pipes will become the underpinnings. The next winners for decades will be decided right here. How come when Microsoft repeatedly did this in the 90’s (moved into a market simply by buying expertise, after failing to conquer said market with it’s own expertise), that it was always an “attempt” or “a second (unlikely) chance,” but now that google is doing it, somehow it means they are automatically winners in said market? The odds are that Google will fail just as badly at home automation and phone hardware this time around as last and the same goes for baby monitors and routers. I for one welcome our android overlords.